Volvo Construction Equipment & LEGO Technic Team CLICK! 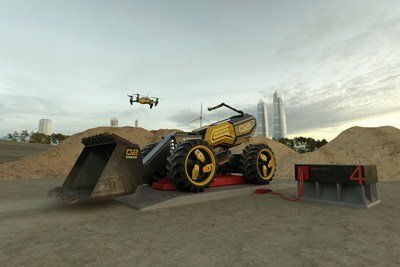 Volvo Construction Equipment (Volvo CE) and LEGO Technic construction toys have joined creative forces with a team of children to design a futuristic, autonomous construction machine. The result: The LEGO Technic Volvo Concept Wheel Loader ZEUX set, scheduled for release in toy stores next month, and the digital prototype for a real-world autonomous machine. Workshops in Billund, Denmark, video meetings, and exchanges of concept sketches and sketch models allowed room to test wild ideas throughout the development process. As a result, one can see a lot of very interesting features like an extendable counterweight, raising and lowering chassis, 4-wheel steering and many other great ideas that fits all design values. Visit https://youtu.be/P78Qguwoo-Q to view Volvo CE’s animated video.